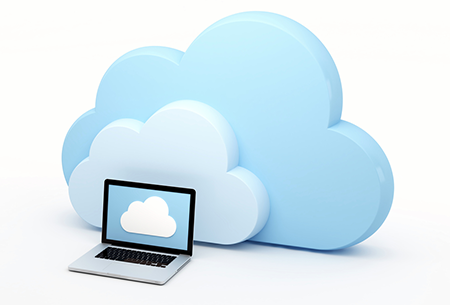 What are Benefits Available in Cloud Computing Category? Cloud computing refers to the use of different services, such as software development platforms, storage, servers, and software, over the internet. In simple terms, cloud computing is taking cloud services and moving them outside an organization's firewall. These services are delivered and used over the Internet and are paid for by the cloud customer on an as-needed or pay-per-use business model. The back-end of the application (particularly hardware) is completely managed by a cloud vendor. A user only pays for services used (memory, bandwidth, processing time etc.). Migration flexibility: With cloud computing, organizations will be able to move particular workloads to or from the cloud, or to different cloud platforms, as desired or automatically for improved cost savings or to use new services as they develop. Pay per use: Compute resources are measured at a granular level, allowing users to pay only for the workloads and resources they use. Workload resilience: Cloud service providers mostly use redundant resources to guarantee resilient storage and also to keep users' important workloads running. Self-service provisioning: End users will be able to spin up compute resources for almost any type of workload on demand. This eliminates the need for IT administrators to provision and manage compute resources. Elasticity: Companies will be able to scale up as computing needs increase and scale down again as demands decrease. This prevents the need for big investments in local infrastructure, which may or may not remain active. Cloud computing is divided into several sub-categories based on the physical location of the computing resources and who can access those resources. A private cloud is a cloud environment that is set aside for the exclusive use of one organization. For security reasons, some large enterprises desire to keep some data and applications in a private cloud, and some are required to use private clouds in order to comply with different regulations. Organizations can make use of two different options for the location of a private cloud: they can use a hosted private cloud service or they can set up a private cloud in their own data centers. With a hosted private cloud, a public cloud vendor accepts to set aside specific computing resources and allow only one customer to use those resources. A hybrid cloud computing model is a combination of both a private and public cloud with some level of integration between the two. A multi-cloud environment is more or less like a hybrid cloud because the customer uses more than one cloud service. However, a multi-cloud environment does not necessarily have integration among the different cloud services, the way a hybrid cloud does. A multi-cloud environment can comprise of only private clouds, only public clouds, or a combination of both private and public clouds. Comodo cWatch Web is a Managed Security Service perfect for websites and applications that combines a Web Application Firewall (WAF) provisioned over a Secure Content Delivery Network (CDN). It is a wholly managed solution from a 24x7x365 staffed Cyber Security Operation Center (CSOC) of certified security analysts. This web security solution is powered by a Security Information and Event Management (SIEM) that can leverage data from more than 85 million endpoints in order to detect and mitigate threats even before they occur. Comodo's cWatch Cloud is a managed cloud security service capable of providing application and network security for varied deployment scenarios, cloud, on-premises, or hybrid. cWatch Cloud has been designed to protect any cloud-based assets and data that you have. It prevents the need for security experts to protect your valuable assets, wherever your data is. cWatch Cloud is a complete security solution apt for diverse environments that satisfy a number of compliance mandates such as HIPAA and PCI DSS almost instantly after subscription. It ensures a secure IT environment and provides an extensive set of reports that are needed by compliance authorities. Security management features of cWatch Cloud include log management, network threat detection and application that are together combined with top-level security expertise. Comodo’s cloud-based intrusion detection system is completely monitored and managed by Comodo Security Operations Center and provides network intrusion detection for different deployment options. The managed security service for cloud computing has an automated correlation and alerting feature that allows generating timely alerts for malicious events, user or network behavior. Dynamic analysis with machine learning The team from Comodo cWatch provides service using in-house built state of the art tools that detect threats in real time and also helps to prevent from zero day attacks and emerging threats using Dynamic Analysis and Machine Learning Techniques.